Less than 20 miles away from Net World Sports’ HQ you’ll find The New Saints Football Club in Oswestry – the JD Welsh Premier League’s current champions who are topping the table for another season. With strong ties to Oswestry (it’s where we were originally founded), we have a great relationship with the staff at TNS and regularly visit Park Hall Stadium for product and marketing photography… you’ll see their amazing ground in a lot of the images in our football category here. 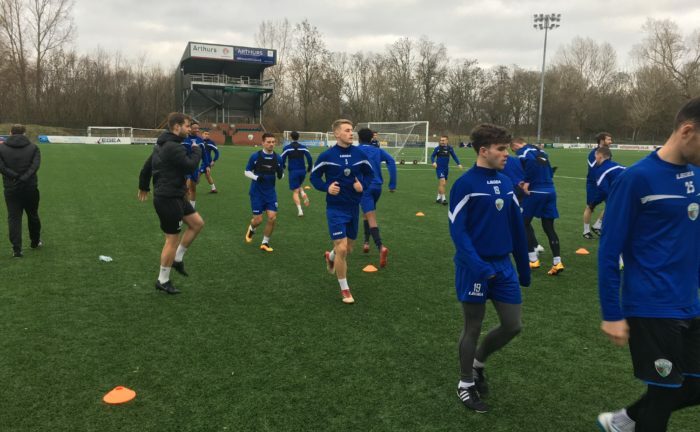 “A typical training week here within The New Saints’ Performance Phase differs depending on the forthcoming match / matches, as well as the physical and mental state of the players. “At The New Saints FC Academy we break our training programme into 3 phases. We have the pre-Academy ages (U7-U8). This age is crucial when it comes to developing motor memory and is proven to be the most impactful time when players learn and understand basic technical skills. Our programme focuses on passing and receiving, lots of 1v1s, ball mastery, etc. - everything incorporating movements, with and without the ball. We aim to have an extremely high ball rolling time within this phase, working on FUNdamentals. There are also small-sided games, where players get more opportunity to practice their technical skills. “Next is our Foundation Phase (U9-U11). In this phase we start looking more about our principles, within the four moments of the game (in and out possession, as well as both stages of transition) again focusing on technique, but in more detail. How the game looks like in relation to other entities (team mates, opposition). Coaching methods change to an extent through this phase as we start looking at the player as an individual and their personal areas of development. Training will incorporate lots of decision making, which is still highly technical based but we also start introducing tactical elements. We also engage in lots of guided discovery, question and answer, group based practices / discussions to start developing the thinking player and problem solvers. “Finally, in our Academy we have the Development Phase (U12-U16). This is the longest stage of a youth player’s development and where they learn the most information. In this phase we start looking in more detail about positional understanding roles of the individual player, unit and team as a whole, throughout the four moments. A lot more things are taken into consideration in this phase of development as players will go through their highest peak of physical growth, so you have to be mindful of this in relation to physical load. The coaching methods change within this phase - you may now tell and show the player what you want. 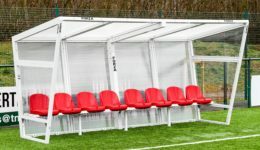 We still want to develop thinking players and Q&A will still be used for this, however training will start to become more tailored towards the individual and their own areas of development. We have weekly working topics but we also have 15-18 different players with their own unique areas of development, so the skill of the coach and practice design is to incorporate at least one of the three IDPs (Individual Development Plan) for each player in your session." “As a whole, we work on six weekly cycles, with a review at the end of the six weeks. We have our Game Model and what we feel a TNS player looks like in the four moments of the game. It is important that every session and practice within a session is relatable to our model. Training must replicate the demands of the game, to prepare our players for the challenges they will face. We really value our working relationship with TNS, which you can read all about on their website here. Be sure to keep up to date with their latest goings on by following them on Twitter and liking them on Facebook.